J: Buy zyrtec on your way home. Moment of silence for our September budget. ADHD: get your kids tested early, folks. ANYWAY. Games. I love games and here are a few that I’m stoked to learn more about and play. Why does this appeal to me? 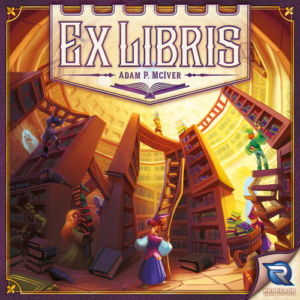 A game about collecting books. From what I gathered via a bit of quick Googling, you’re trying to land the position of Grand Librarian in your village. To do that you have to send your assistants off to collect books and make your personal library the most…something-that-earns-the-most-points. Je ne sais quoi. There’s going to be scoring for types of books and variety. There are apparently banned books that deduct points which, I am guessing, are peppered onto tiles with books of value. I don’t know enough about the rules or scoring but there’s enough here to make me really excited to check this one out. 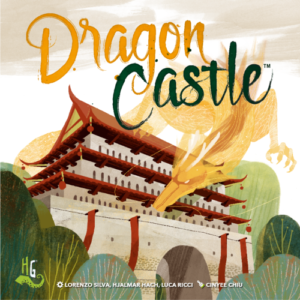 At first glance this game tugs at me in all the same ways that Tokaido did the first time I saw it. It pushes all the right buttons, visually. Growing up I spent a lot of time playing PC based Mahjong (there wasn’t much else to do). I just want to hold those tiles in my hands. It will be interesting to see this one in action. I’m curious about how the different dragons in play affect strategy. Why does this appeal to me? One player. Gameplay includes using spirits to terrify colonialists. Co-op. Sid Meier’s Civ is one of my guilty pleasures. I’m terrible at it. I never make my army strong enough and instead build great wonders, libraries, advance the philosophy track only to get WIPED OUT by a horde on horseback with nuclear technology. 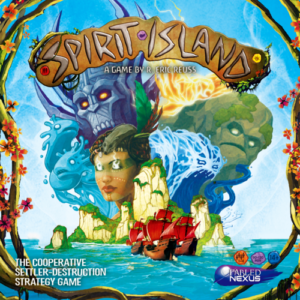 Spirit Island looks like it can redeem me. 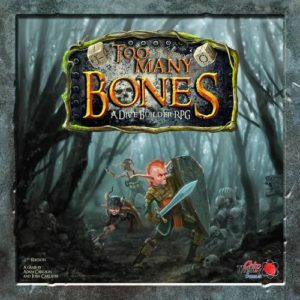 I like that it can be a 1 player game OR played cooperatively. With over 400 pieces, the contents of the box is a bit overwhelming and has an eyeball popping $80 price tag to go along with it. As of this writing it is sold out and the publisher is projecting mid-Dec 2017 availability. 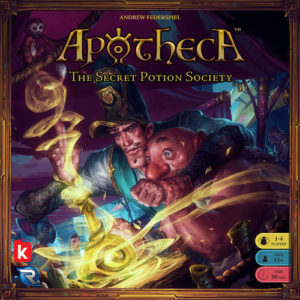 A strong contender for New Year weekend game to setup and play for a few days while sipping cocktails. Why does this appeal to me? Potions master <3.